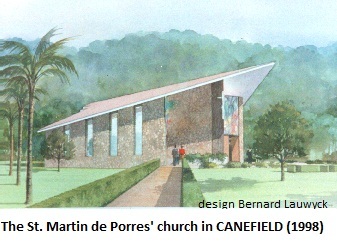 In two previous articles I published my research on the first black priest in Dominica named Fr. George Paddington, who died in 1851. In these I cited from several sources, but had very little to present from local sources. I have now found a local source which confirms most of my research and places Fr. George Paddington in a new light. 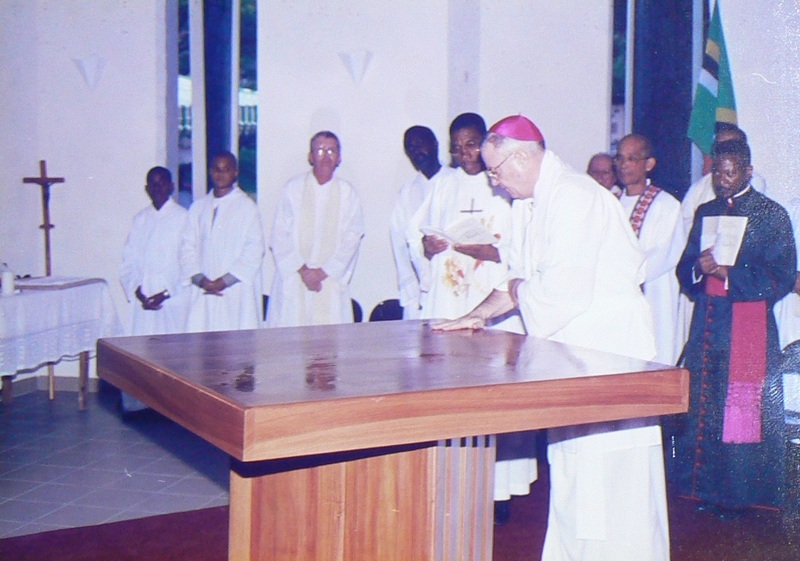 It seems that in the short period, less than two years, that he was living and serving in the St. Peter’s Parish in Colihaut, he must have made quite an impression on the local population. 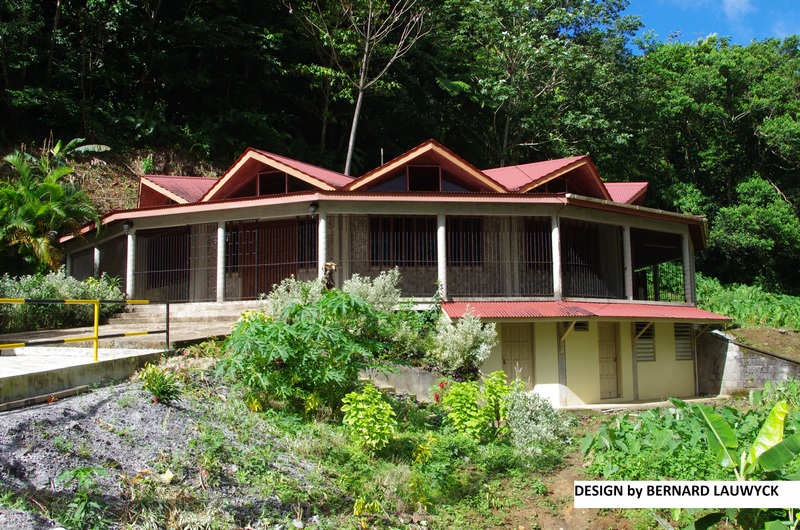 The local source is THE DOMINICA COLONIST, a newspaper that was not known to be pro-Catholic. Indeed in several issues, I found articles against the “popish religion” (= Catholicism) and in support of the Wesleyan missions and the established church, meaning the Church of England. Therefore I found, to my great surprise, a very positive OBITUARY of Revd. George J. Paddington in the DOMINICA COLONIST of November 22, 1851. This could only have been because he was an extraordinary saintly priest. 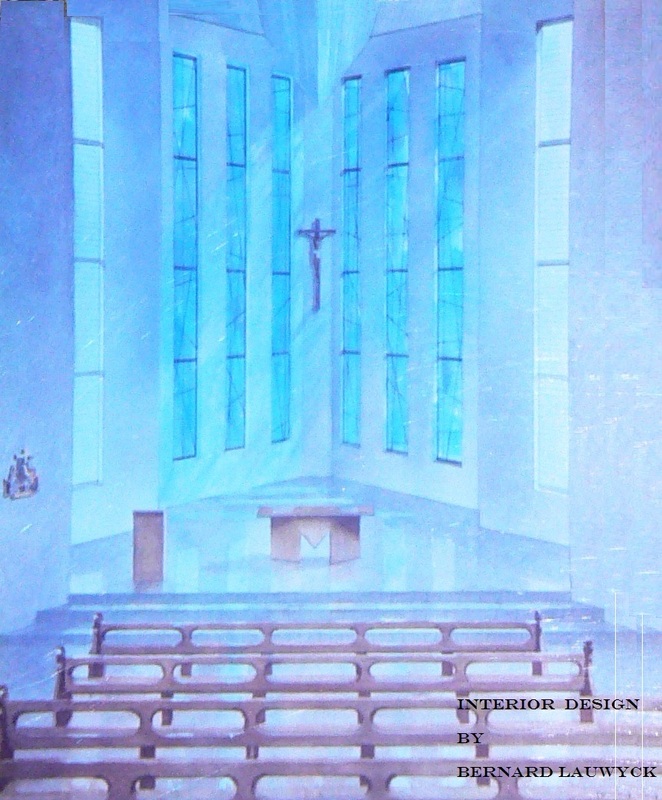 Curate of the Parish of Saint Peter – aged 50 years, which melancholy event took place at the presbytery in Roseau, this day at 2 o’clock, after a short illness of eight days. Mr. Paddington was a colored gentlemen and a native of Kerry in Ireland. His pious and virtuous habits in early life did not fail to attract the notice of several high dignitaries of his Church – among whom we may mention the names of the Bishops of Cork and Kerry. At a later period, yielding to the Divine call he unhesitatingly sacrificed the most favourable prospects of worldly aggrandizement and joined that ministry, of which, to the close of his life, he was a distinguished ornament and most worthy labourer. After having devoted a part of his life to the study of Theology in Rome, he proceeded to St. Domingo [ present day HAITI ], but in consequence of the despotic and tyrannical policy of the government of that country with which his liberal and enlightened spirit could not agree, he left on a tour through the islands, with the intention of proceeding afterwards to his native country; but having landed in Trinidad he was induced at the solicitation of His Grace the Archbishop of Port of Spain, Dr. SMITH, to alter his resolve and to accept a mission in this island, where he arrived in September 1849. From that period this, his zeal in his Master’s cause was unremitting, and his exertions indefatigable. In “PARLIAMENTARY PAPERS, HOUSE OF COMMONS AND COMMAND – GREAT BRITAIN. PARLIAMENT”, we read that many islands such as Jamaica and St. Lucia were heavily stricken by Cholera between 1849 and 1850. Dominica however was spared this ordeal but had a flu or influenza epidemic during that period. From reading the above obituary, it seems that this flu caused many deaths in Dominica. 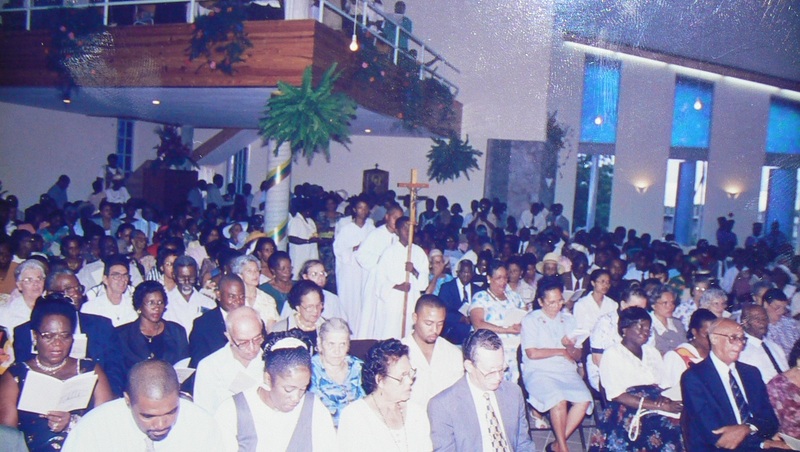 “The Passing Bell announcing that his spirit had winged its flight to the region of immortality had no sooner commenced that it was joined by that of the St. George’s [Anglican] Church and a solemn funeral peal was tolled. This is as it should be. In death there is no difference – A Minister of Christ had gone to his reward and his Brethren in the Ministry, although of another denomination, joined to announce to them the mournful but to him blissful event. Fr. 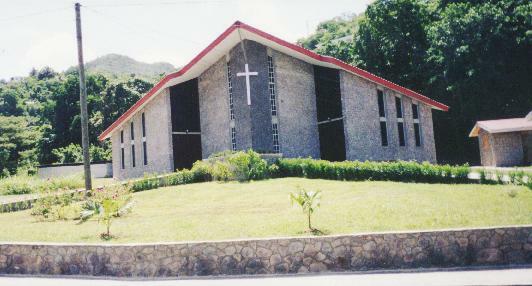 George(s) Paddington, a saintly black priest, buried in the Colihaut church, has since that time been forgotten in Dominica . 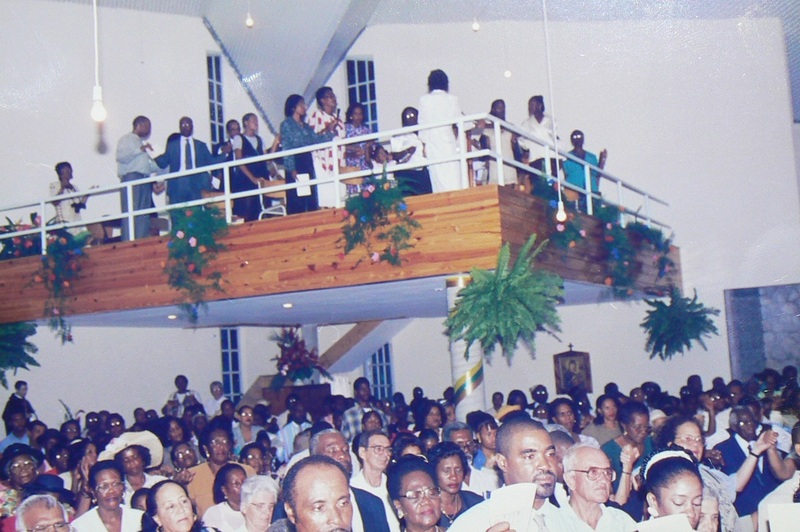 This entry was posted in First black priest in Dominica anno 1850, remains in Colihaut church, St. Peter's church in Colihaut and tagged churches, Dominica, Dominica churches, First black priest in Dominica anno 1850, Fr. Georges Paddington on April 10, 2016 by Bernard Lauwyck. 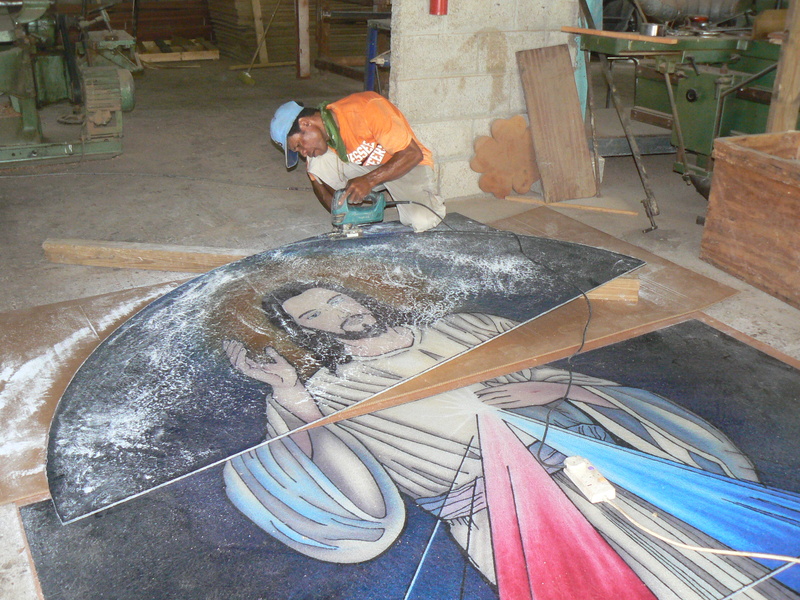 This entry was posted in buildings in progress, CALIBISHIE CHAPEL, NEW CHAPELS or CHURCHES and tagged CALIBISHIE chapel, catholic chapel in Dominica, church murals, churches, Diocese of Roseau, Dominica, Dominica churches, Place of Worship on September 1, 2014 by Bernard Lauwyck.